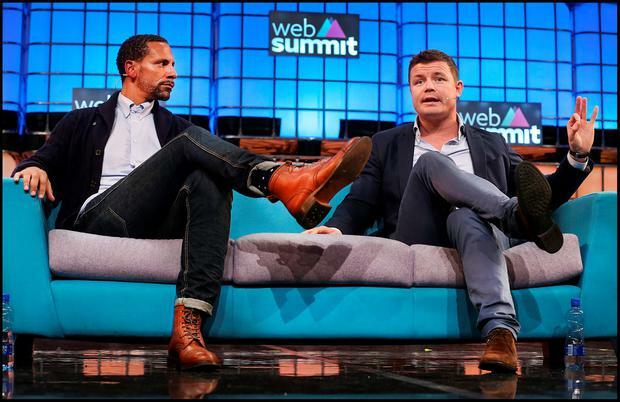 Both are bona fide legends of their respective sporting fields, having captained Manchester United and Ireland, but each admitted to their fair share of blunders on the digital field. Ferdinand, who has almost seven million Twitter followers, described being reprimanded on many occasions during his football career for being too brash on social media, but claimed there were times when he just couldn't help himself. "When I was at United it was heavily governed, and I paid quite a few fines over the years for stuff that I said." O'Driscoll, on the other hand, was markedly more subdued while still lining out for club and country due to the strict rules put in place by management. "You have to adhere to the team way and mightn't always be able to speak your mind or show the individual in you," he said. Ferdinand advised never to tweet and drink. "When you've got your phone in your hand, do not drink and go on social media because that's when you get in trouble. I've been there before," confessed Ferdinand.